In this game there will be a passage for you to type. You need to type the passage as quickly and as accurately as possible. When you have finished the passage, a rank will be given based on your result. 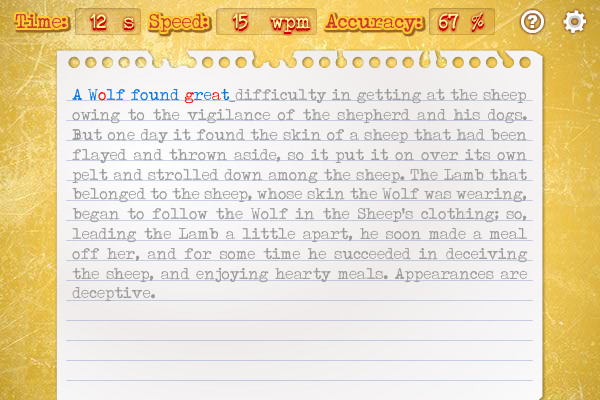 The faster and more accurate you type, the higher your score. Enjoy playing a great shooter game! Attack is the best way of defence. The only way to survive is to destroy all approaching aliens or they will reach and capture you. New level starts when all enemies are killed. Free to play and download! A good well-known free tetris with new details that will bring you hours or real pleasure and fun. Colorful blots, different skill levels and multiple options - everything's here to let you enjoy this game. Free play and download. Easy installation.